Born and raised in Indianapolis, Indiana, Cathi Hampton became a Realtor in the late 1990s and joined F.C. Tucker in 2000. She received her GRI from IU and says she is constantly learning more about the business every day. After a brief sabbatical to care for her husband of 51 years during a time of illness, Cathi is back doing what she loves – serving clients for F.C. Tucker with The Anthony Team. Previously, Cathi and Warren owned a Special Events and Party Planning/Rental company. She credits that experience with teaching her to listen to clients’ ideas and then help them fulfill their wants and needs. With Warren, Cathi raised son Jeff, who shared Warren’s love of racing and advanced through the ranks driving quarter midgets, midgets, sprint cars and championship dirt cars. Jeff made Cathi and Warren grandparents, and Cathi enjoys time with the teens – grandson Jake and granddaughter Molly – who are active in theater and Junior Olympic diving, respectively. “I have always been involved in family-owned businesses and was taught to always give clients the best service I can,” Cathi says. She brings that dedication and a commitment to The Anthony Team, working with Rena Swails and the East team. 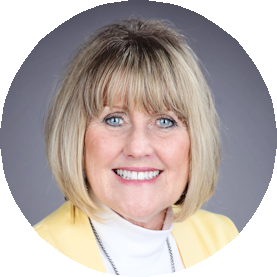 To speak with Cathi and experience The Anthony Team Advantage today, contact her directly at 317.503.4519.